Women’s bodies have special needs. Changes in hormonal cycles affect circulation, mood, skin tone and muscular contractions, among many other things. 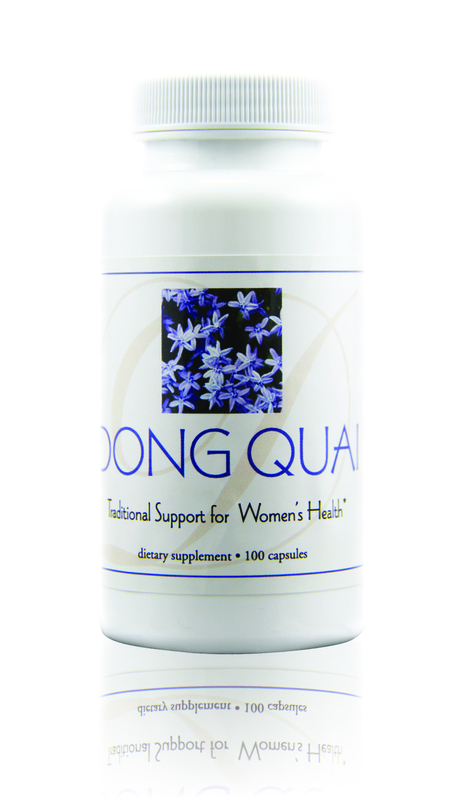 Dong Quai is known as the “Queen of Herbs” for support of women’s health. Dong Quai is a tonic herb, which means it balances and soothes. In addition, it increases circulation to the uterus. It has both a stimulating and relaxing effect on the uterus, helping to control cramping and spasms. It also affects smooth muscles in the intestines, reducing discomfort. Dong Quai also acts as a platelet inhibitor, regulating blood viscosity. Diuretic properties help ease water retention and bloating. Blood clearing abilities help circulation and the immune system work better. These actions contribute to an overall sense of well-being whether Dong Quai is for hormonal balance in women or to enhance circulation and vitality in men. E. EXCEL uses carefully selected dong quai root. This special Nutritional Immunology preparation ensures a proper balance of naturally occurring polysaccharides and phytochemicals for optimal function of the female reproductive, circulatory and musculoskeletal systems. E. EXCEL’s Dong Quai> is also appropriate for men to use because we use the whole root, and do not concentrate the phytoestrogens found naturally in Dong Quai. Warning: Pregnant and lactating women should consult their physician before using products containing dong quai. Dong quai has been reported to increase the effects of blood thinning drugs and supplements. Dong quai also increases photosensitivity. Avoid prolonged exposure to the sun while using Dong Quai.